Search engine optimization (SEO) is crucial to each and every web-based business. No organization or website can survive for long without clients or customers. Setting up an online business is of no use unless it is marketed properly to attract potential customers. 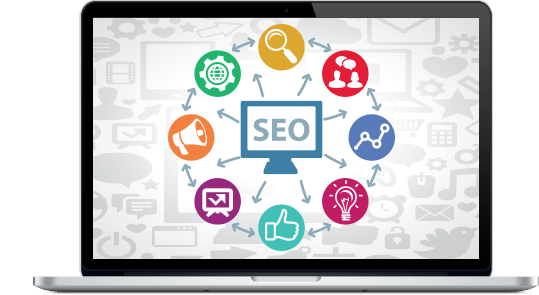 Successful SEO requires years of experience, as well as in depth knowledge to understand how the search engines’ algorithms can work to your benefit. Northstar Websites helps businesses consistently attract a large number of customers using various internet marketing and SEO strategies. Search engines, such as Google, rank websites on the basis of an a perpetually changing algorithm that measures many different factors. The ultimate aim is to deliver a relevant experience to someone looking for information. In order to get better rankings with the use of relevant keywords in search engines, a company must optimize its website for the right keywords. This will ensure so the company ranks favorably when a potential client is using specific keywords to perform searches. Northstar Websites helps your business grow over the internet by determining the right keywords for your website while putting to use the most effective SEO and internet marketing strategies.